Publisher teams with IDW and DC Entertainment to include Kevin Keller and friends in collection benefiting victims of Orlando’s Pulse Nightclub tragedy. Archie Comics announced today its participation in the historic LOVE IS LOVE anthology graphic novel honoring the victims of Orlando’s Pulse Nightclub tragedy with two stories featuring Archie Comics characters designed to show support for the LGBTQ community. Archie Comics Chief Creative Officer Roberto Aguirre-Sacasa, artist Stephen Byrne, and Archie legend Dan Parent have crafted two heartfelt and moving pieces featuring Kevin Keller, Archie, and other Archie Comics characters as they stand with the victims of this national tragedy and the entire LGBTQ community. "For as long as I've been steering the ship at Archie, we have striven to showcase the town of Riverdale as a welcoming, inclusive and friendly place for everyone," said Archie Comics CEO/Publisher Jon Goldwater. 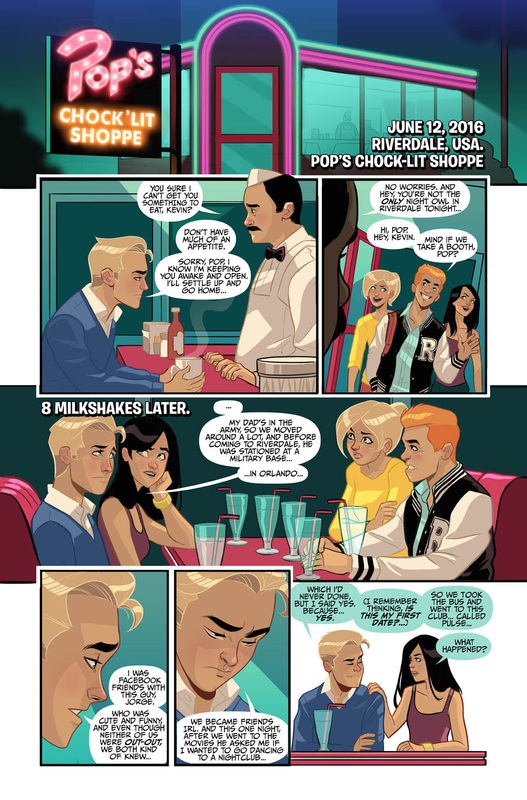 “It made perfect sense to join forces with our friends at IDW and DC Entertainment to include Kevin Keller, Archie, and his friends in LOVE IS LOVE. We're honored to be part of such an important book and will continue to strive for a real world that's as safe as Riverdale." 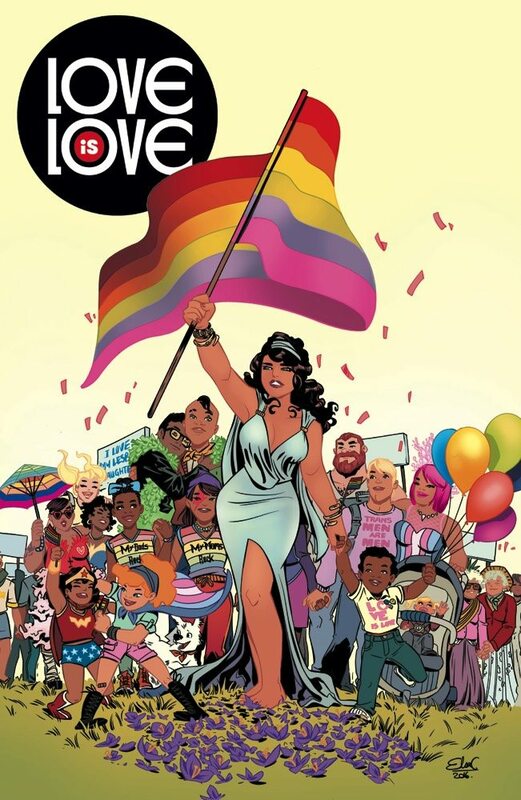 The LOVE IS LOVE collection, curated by writer Marc Andreyko, features artwork from dozens of collaborators in the comic book industry designed to send a powerful message of support to the victims, survivors, and their families. All materials for the project have been donated and all proceeds will go directly to the families and victims via EQUALITY FLORIDA. "When Marc Andreyko approached me and Archie about including a story in LOVE IS LOVE, I knew we had to be a part of it—and that we also had to approach it in a direct way," said Archie Comics Chief Creative Officer and 'Riverdale' TV series showrunner Roberto Aguirre-Sacasa. "It had to be in the more modern 'New Riverdale' style and obviously include our openly gay character, Kevin Keller. Marc then paired me with the supremely talented Stephen Byrne, who delivered gorgeous art. We often talk about how ‘Riverdale’ exists in the real world today, so we’re incredibly honored to be paying our respects to the terrible tragedy that happened in Orlando, along with so many of our colleagues in the industry." Kevin Keller, the first gay character in Archie Comics history, was introduced in 2010 by longtime Archie writer/artist Dan Parent, whose contribution to LOVE IS LOVE features a one-page pin-up featuring a message from Kevin Keller to the LGBTQ community about how to cope and respond to the tragic events that struck Orlando. "It was an honor and a privilege to be included with all the talented creators in this book,” said Archie Comics writer/artist Dan Parent. “More importantly, to give back to the families and victims of such a tragedy is simply the right thing to do. Let's help the healing process by contributing any way we can. And let's remember to keep fighting!" The LOVE IS LOVE anthology graphic novel goes on sale December 28th at comic book shops and can be pre-ordered by clicking here.